Editor’s note: This post is by Natalie Scavuzzo, an intern in the National Museum of American History’s Office of Public Affairs. Natalie is a junior at the College of William and Mary majoring in Film and Media Studies. Photo courtesy of Cindy Whitehead. 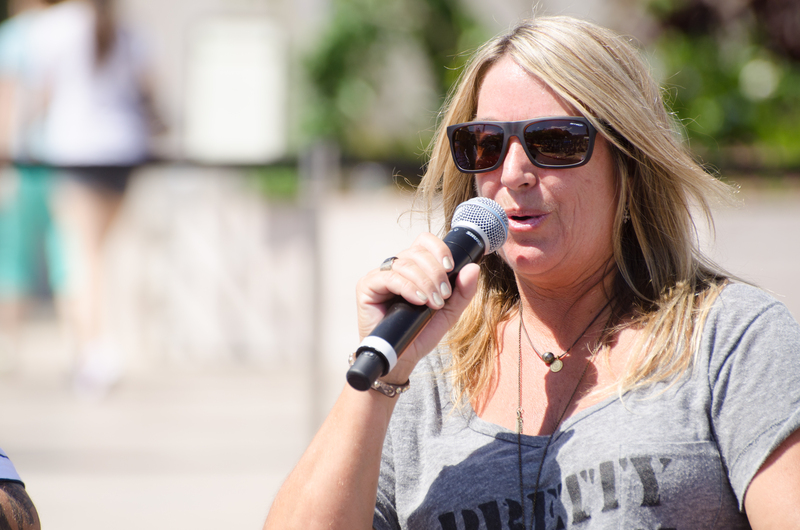 Cindy speaks at Innoskate about skate fashion. Smithsonian photo by Tyrone Clemons. After meeting Cindy in person at Innoskate 2013, I asked her about her unique skateboarding and career experience. I grew up in a beach community in southern California. A lot of people surfed and, eventually, skateboarding became popular. I’d go to the beach with friends to hang out and cruise and do tricks. My favorite parts of skateboarding were being with my friends, being outside, and enjoying that freedom. Just being able to push off and seeing where you end up. Did you ever feel like the skating scene you joined in on was a “boys club”? Well, we were always jumping in and joining the boys club whether or not we were invited or not! The boys were always welcoming and couldn’t have been nicer or more excited for us to participate. More girls should join up! There are people out there in the world that sometimes do not believe that girls belong in certain things, like sports or upper level management. That is just a very, very antiquated way of thinking. Are there any organizations pushing for girls to get out there and skate? Yes. There’s plenty—my own Girl is Not a 4 Letter Word, Skateistan, Long Boarding for Peace, there’s so many out there. More girls skate abroad than skate here. Skateboarding gives skaters a lot of freedom and girls are finding out what boys have known all along. Skateboarding gives them somewhere to go, to hang out, to do a sport, and go outside. Do you have any words of wisdom for girls looking to start skating? Some people don’t think you belong, but the majority of people think you do. Believe. Go out there and do what you want do and push ahead. It’s fine, there will always be a few naysayers in anything you decide to do. What does it mean to be included in the Smithsonian? We’re all still talking about it, still amazed that we’ve been embraced—it’s an honor. To be honored here alongside the guys, it’s an amazing thing. 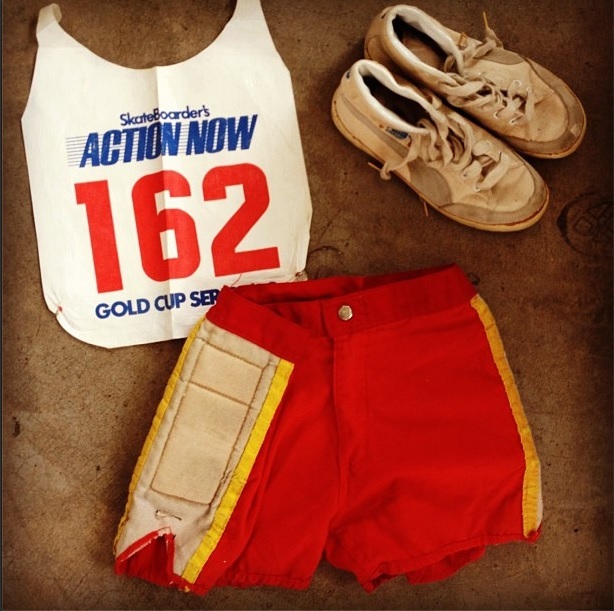 Objects donated from Cindy to the national sports collection. Photo from Cindy’s Instagram (@SportsStylist). I believe Cindy is a great example of a woman who proves that you don’t need permission from “the guys” to achieve success. By staying true to herself, Cindy is a trailblazer for female skateboarders and women in general.